Top Heroine’s love for south Indian actors!! For the first time in Billa-2! Kamal, Mohanlal & Prabhas in Shankar’s trilingual? Actress Kanaga has appeared in Saidapet Court in a case filed by Aavi Amudha. The case was adjourned for April 9th. Much after the promo publicity of Kolaveri song, the singer Dhanush got supreme fame. He was invited by the PM office for a dinner hosted by him. Recent inclusion is his proposed address to the gathering at IIM Ahmedabad. Now the heroine of the film 3, Shruti Hassan has been invited from the PM office for the same sort of dinner. The citation of the honor is not specified but it is learnt that she received the intimation. She will be responding to the invitation and will attend the same. In a way, this could be a better privilege than his father Kamal Hassan who too has not got any such honor. However, this gesture from the PM office is not an instantaneous. Shruti is a well known name in Bollywood before venturing into Kollywood through the songs from her father's Unnaipol Oruvan. Of late her name has been on the hit lines after her debut in 7am Arivu and her role in the film 3. More such accolades may come in her way as Shruti Hassan deserves so. News are speading over that actress Asin will be seen in director Shankar's next. Recently in a star studded event at Mumbai where Asin was seen chatting up with AR Rahman and Shankar. Sources say that the actress was seen discussing for a long duration with director Shankar. In that time Shankar has shared the details about his next project and also shown interest in roping her in for the female lead. The playful Asin was one of the first choices for Shankar's earlier ventures but they couldn't team up and now this time it is going to happen says sources. Also rumors are there that Shankar is doing a Mutli-lingual film. She is called the angel of beauty and there are countless hearts that die to see her onscreen and offer prayers to her posters and pictures in their rooms. While that is their admiration, it is heard that this beauty has a strong respect and affection for south Indian men, especially four of them. We are talking about Katrina Kaif and the four men in discussion are superstar Rajinikanth, Kamal Haasan, Mohanlal and Mammootty. Apparently, sources close to her reveal Kats has tremendous respect for these superstars and has a desire to pair with them onscreen someday. Incidentally, Kats just missed a chance to pair with Rajini for his film 'Kochadaiyaan' as her place has been taken by Deepika Padukone. So far, she has not signed any south film though she keeps getting flooded with offers. The rumor mills have been circulating the news that Amy Jackson and her Ek Deewana Tha co - star, Prateik are seeing each other. When asked about it, Prateik cheekily said that they will be spending Valentine's day together before adding that they will be promoting their film which will be releasing on February 17th on Val's day. Both have denied any romantic involvement, saying that they are very good friends. So it looks like they will be working on Valentine's day. Prateik joked some more and said it was going to be a fun day as he gets to spend it with a hot girl. A R Murugadoss is currently directing a film titled Thuppakki which has Vijay in the lead role. The first schedule of shooting of this film has taken place in Mumbai. The shooting of this film was temporarily stopped because of the recent problems between FEFSI and Producers Council. 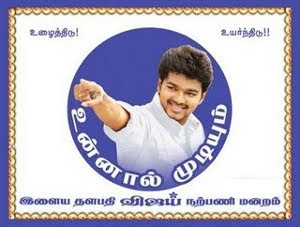 So Vijay used this opportunity to promote his film Nanban throughout Tamil Nadu. Now A R Murugadoss has decided to direct a short film. When Murugadoss went for walking, he happens to hear the conversations between two lovers. Their conversation shocked Murugadoss. So he has decided to make a short film based on these lovers. 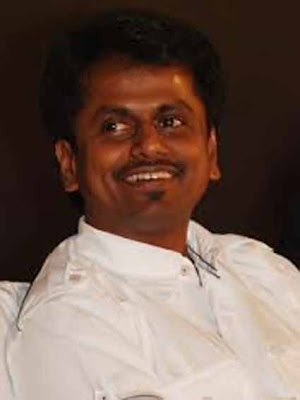 Murugadoss is now in search of a suitable pair among the school children. So if he gets a suitable pair, he will instantly start making the short film that has a running length of 10mins. Speaking about the film Thuppaki, he says that the crucial scenes will be shot in next schedule and Harris Jayaraj has already composed couple of tracks for the album. Ajith, Parvathy Omanakuttan and others are starring in the film titled Billa 2. The film which has been directed by Chakri Toleti has the music of Yuvan Shankar Raja. The post production work of this film is going on now. It is understood that the audio CD of this film is being released during the month of March. The film Billa 2 has been produced at a high cost than estimated. Crores of rupees have been spent for shooting each sequence. Chakri has shot an action sequence in the snow storm featuring Ajith and other stunt actors. This sequence was shot in Georgia. The crew says that this sequence will be of its first kind in Indian cinema. Similarly there is another helicopter action sequence featuring Ajith and others. This sequence which has been shot at a high cost will be on par with Hollywood films. Ajith instead of using body double has acted in this sequence taking very great risk. 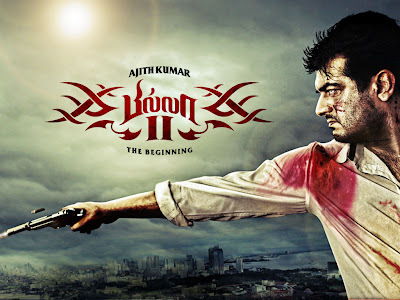 Of all the films that Ajith has acted, Billa 2 will be the costliest. Ace director Shankar is all set to make a trilingual in Tamil, Malayalam and Telugu. The Malayalam version will have Mohanlal in the lead while Kamal Haasan plays the hero in Tamil. Prabhas is the hero in Telugu. The film, titled Thalaivan Irukkiran in Tamil, is being produced by Aascar films Ravichandran. Bollywood sensation Katrina Kaif will play the heroine in all the three versions. Kamal is currently busy with Viswaroopam which he is producing, directing and acting while Mohanlal is playing the lead in UTV's maiden production in Malayalam, Grandmaster. Actor Prabhu Deva's father and well-known choreographer Sundaram is in a spot as yesteryear dance master Tara, 62, has petitioned the family court in Chennai alleging he married her in 1970 and even fathered a son. She wants Rs 5-crore alimony and a monthly maintenance allowance of Rs 75,000. Ms Tara told reporters at the court the two became close in 1964 and got married in 1970. A son was born a year later. She said she was a busy choreographer in Kollywood for years but was now finding it difficult to find employment due to age. "Sundaram Master was giving money till sometime back but has now stopped helping. I need money to take care of my son and so I moved the family court," Ms Tara said, adding that Mr Sundaram was not responding to summons from the court to appear for counseling. She said Mr Sundaram had properties in several places but was not helping her despite having promised he would take care of her and their son. Ms Tara alleged Mr Sundaram's wife picked up a quarrel with her and took away their photograph (Ms Tara and Mr Sundaram's) sometime back. Her lawyer Sethuraman said Ms Tara's son Munna, now about 41 years old, did not have a proper job. 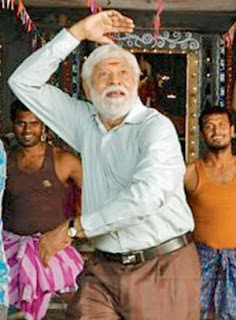 Sundaram Master has more than 1,000 films under his belt. He has three sons, including famous choreographer-actor-director Prabhu Deva, choreographer Raju Sundaram and actor Nagendra Prasad. Arya, Sneha and Andrea Jeremiah are doing guest appearance in uUdhayanidhi Stalin's OKOK. Jeeva's Mugamoodi is taking shape in the hands of Mysskin, which has commenced its shoot on December 12th is going in fast pace. Music director K of Yuddham Sei fame is done with three songs. Music director K. has successfully completed three songs for Mugamoodi, while the album has four tracks in total. 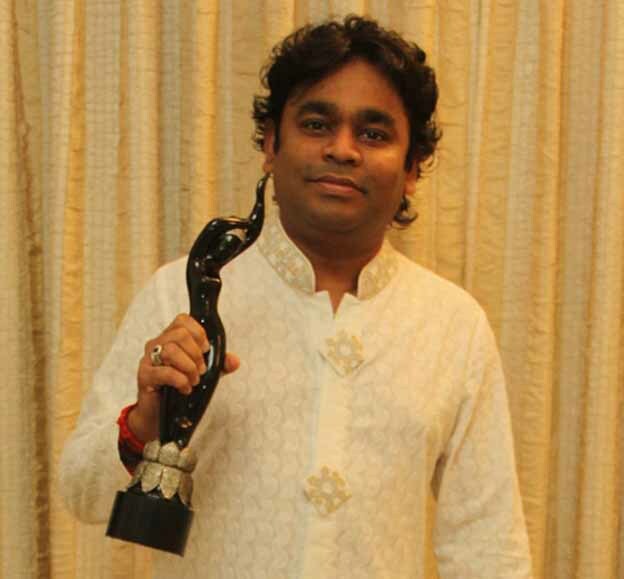 K. said, "Mugamoodi theme melody will be surely a feet tapping. One track is remaining, which will be composed and recorded soon. As Mugamoodi is a movie on superhero, the songs will have a sign of flavour." UTV Motion Pictures is prestigiously filming Mugamoodi that has Pooja Hedge playing Jeeva's love interest. We earlier reported, Jeeva and Naren undertook training in Japanese Martial arts to prepare themselves for the movie. Jeeva plays a Superhero role in Mugamoodi, while Naren is the antagonist. The singer-turned-comedy actor Premji Amaran is known for his close bonding with Silambarasan as he croons special rap lines for his songs. Although Yuvan Shankar Raja isn't scoring music for his upcoming film Poda Podi, Premji Amaran will be extending his gesture of friendship for the actor. It is heard that Premji Amaran will be making a special appearance for a song in Silambarasan's upcoming film Poda Podi. The film was earlier scheduled to hit screens on February 14 for the occasion of Valentine's Day, but is now postponed due to delay in shooting with accordance to Simbhu's involvement in the production of music album Love Anthem.